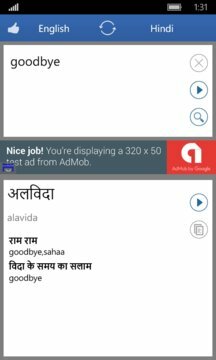 This app can easily translate words and sentences will be translated from Hindi to English,and translated from English to Hindi. - Translation of words and sentences. - Find the clipboard sentence. 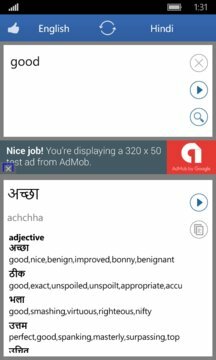 - Translation results clearly definitions, can be used as a Hindi(English) dictionary. - Translate result with phonetic.